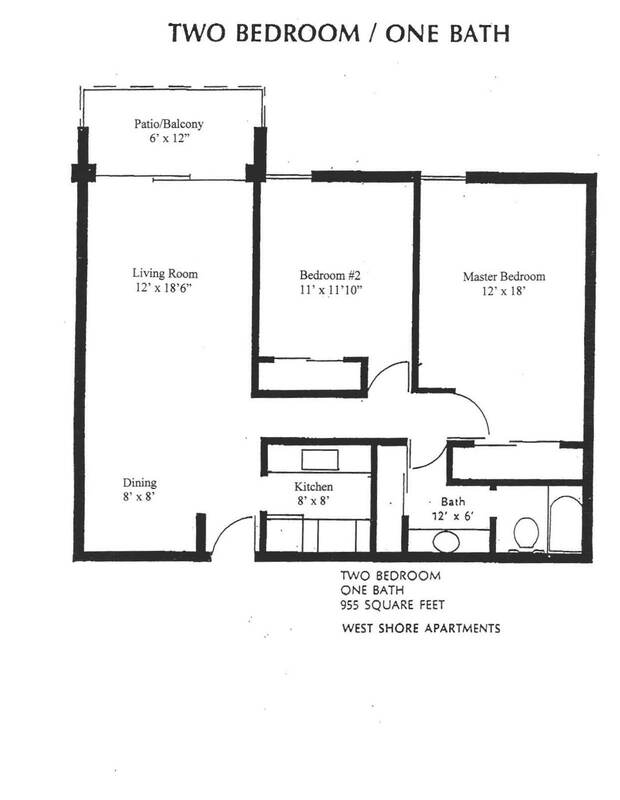 At WestShore Apartments, 4601 W. Gray St., we offer a generous selection of unique floor plans. 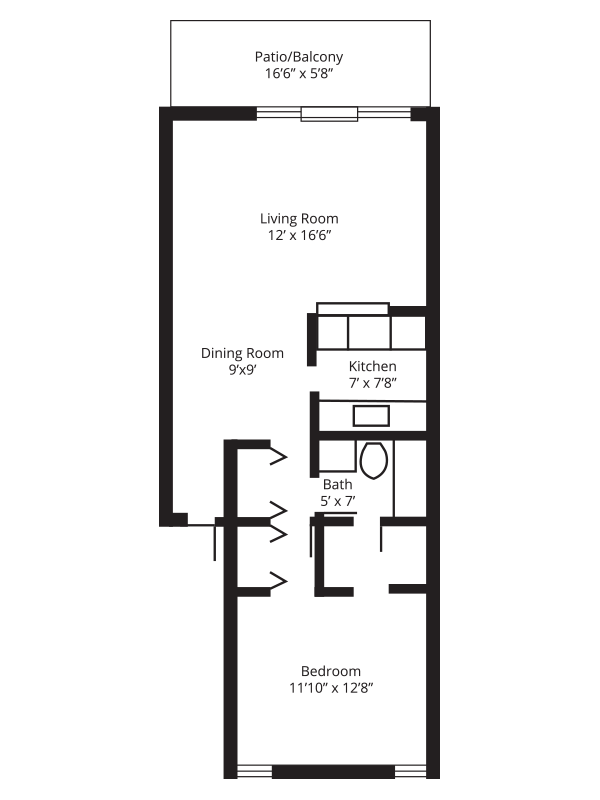 You can choose from a one or two bedroom floor plan (no studio apartments at Westshore). Endless amenities are at your fingertips with our upgraded apartment homes. Residents can select which features are best for them. We have a very small inventory of RENOVATED apartment homes that include a washer & dryer. We are adding more renovated apartments throughout the year, as older apartments become available. 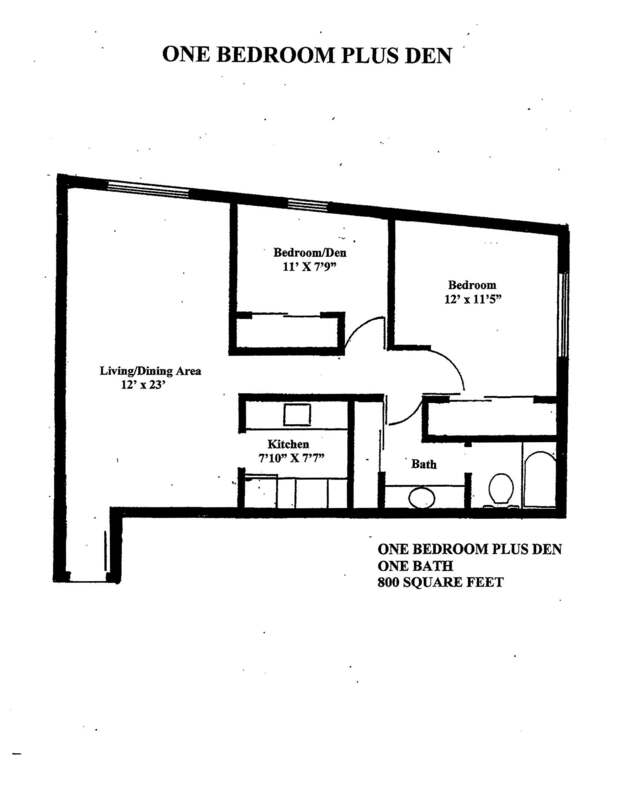 At Embassy Apartments, 302 N. Hubert Ave., we offer studio and one bedroom floorplans. Apartment finishes at Embassy are very similar to those at Westshore. We also offer RENOVATED apartment homes at Embassy, some of which included a washer & dryer. Standard apartments: feature white cabinets and white appliances, (**dishwashers in select apartments**), formica countertops, wall to wall carpet, (**wood look vinyl plank flooring in select 1st floor apartments**). RENOVATED apartments: feature black/stainless steel appliances, cherry cabinets or custom white shaker style cabinets, granite counter tops, wall to wall carpet, tiled floors in kitchen and bath, (**wood look vinyl plank flooring in select 1st floor apartments**), updated lighting fixtures and stacked washer/dryers. Our community serves as an extended living space where you can enjoy a sparkling swimming pool, barbecue area, and lush landscaping. Browse our floor plan page, select one that is ideal for your lifestyle, and give us a call for a personalized tour today! 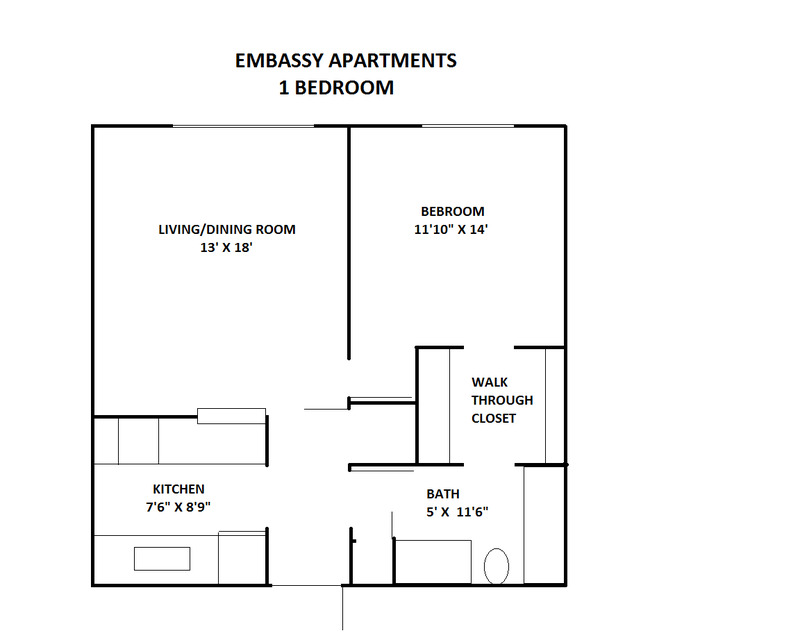 EMBASSY APARTMENTS: 36 - 650 sq ft 1 bedroom apartments and 8 - 415 sq ft studio apartments. Only 8 1st floor 1 bedroom apartments include an enclosed patio. All apartments enter off a central courtyard with sparkling pool. COMMUNITY FEATURES: 2 story construction. Pool, two community BBQ areas, "social pavillion", 1st floor bike storage, 2 coin operated laundry centers (1st and 2nd floor), ample parking behind building as well as on street parking.